In celebration of Top of the Hops, happening this weekend at Prairieland Park, this post gives you the cream of the crop in the province’s craft brewing scene. Fill up your glass with something local! And don’t forget to visit me at the Do Sask booth to build your own pretzel necklace – good craft beer needs good craft snacks. It’s technically spring, but the weather has been so hot it’s feeling like summer. Just as soon as the patios start bustling and the BBQs begin sizzling, people look for new ways to quench their thirst. One popular way to do that is to fill up a growler from a local microbrewer with the best craft beer in Saskatoon. As the craft beer scene in Saskatchewan continues to grow, with each year it adds a new crop of beer lovers to the province. For example, there’s an active “Beer lovers of Saskatchewan” group on Facebook where people discuss the best (and worst) of our local brews. Recently, a member asked where he should go to fill up his growlers for the weekend. Here’s a look at the recommendations for best craft beer in Saskatoon, as listed by active group members. I’ve also added in top-ranking brews from Saskatoon Brewery Tour attendees’ feedback. Did I miss a good one? Get in touch with me at info@dosask.com. Fill up your growlers this weekend, or come for a taste test on the next Saskatoon Brewery Tour. 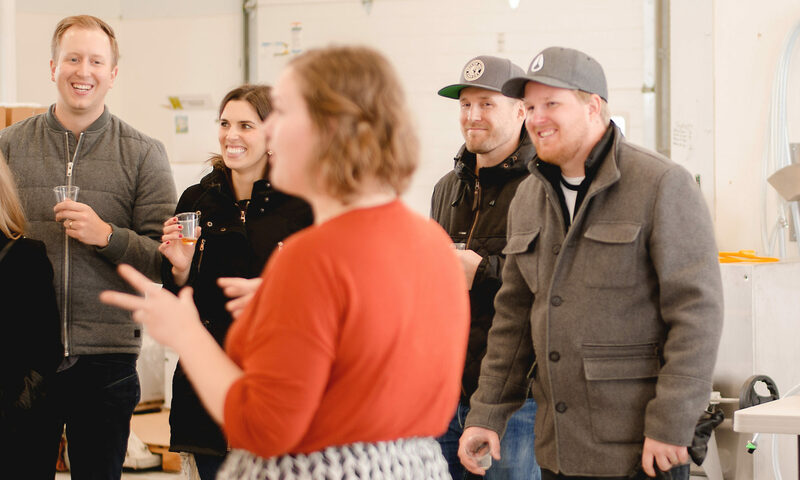 Sign up to become a VIP and receive weekly updates on craft beer tours in the city.